Tropitone Cabana Club Padded Sling Lounge Chair, 14 lbs. 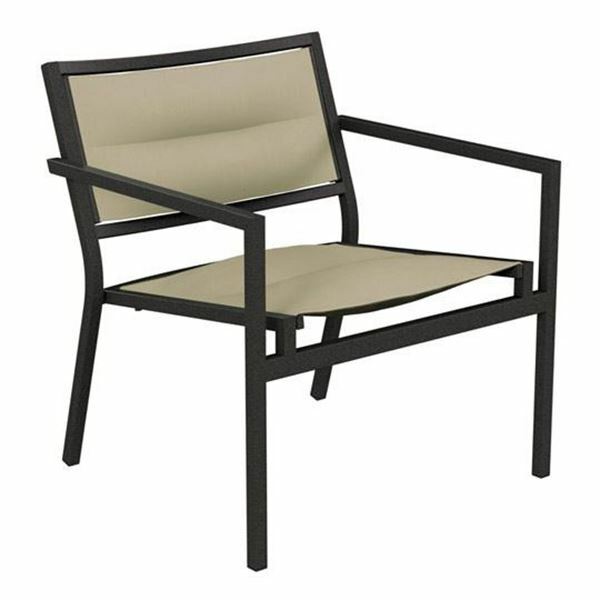 This Tropitone Cabana Club padded sling lounge chair features a deeper, wider seat than the traditional dining chair and sits 3" shorters, making it perfect for conversational areas. The squared aluminum frame is powder coated for protection against chipping, cracking, and peeling. The slightly plush padded sling is made up of three materials: a strong sling back, a soft cushion front, and a fiberfill center for comfort. 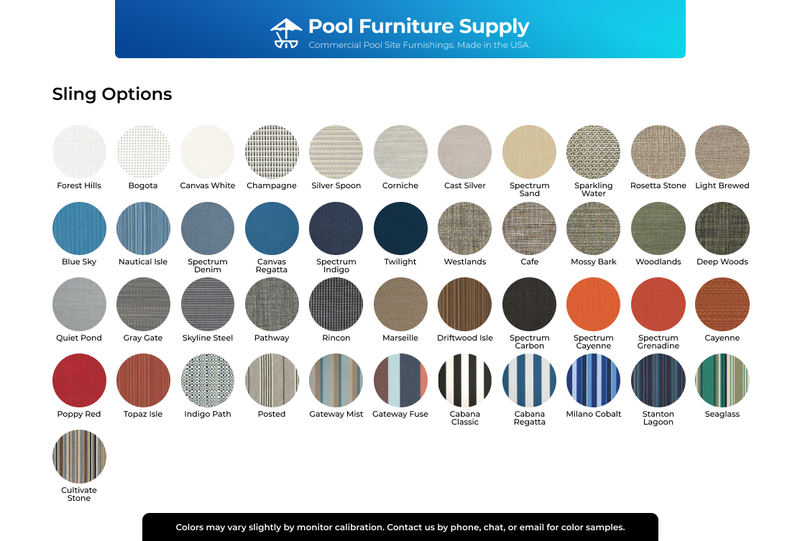 Mix and match the color of the sling and cushion fabrics to display the perfect color combination. This modern lounge chair will add sophisticated style for hotel poolside or resort lobby area. Looking to furnish your whole establishment? 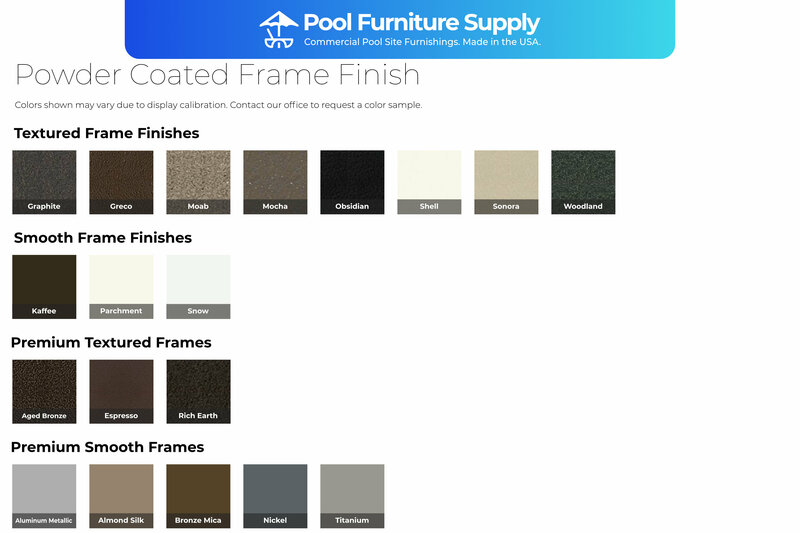 Call Pool Furniture Supply to get the best quantity discount on the Cabana Club and more! Tropitone Cabana Club Padded Sling Angled Ottoman, 7 lbs. 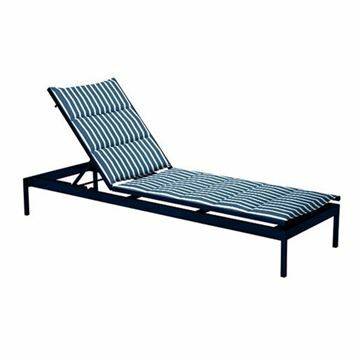 Tropitone Cabana Club Padded Sling Armless Chaise Lounge, 32 lbs.